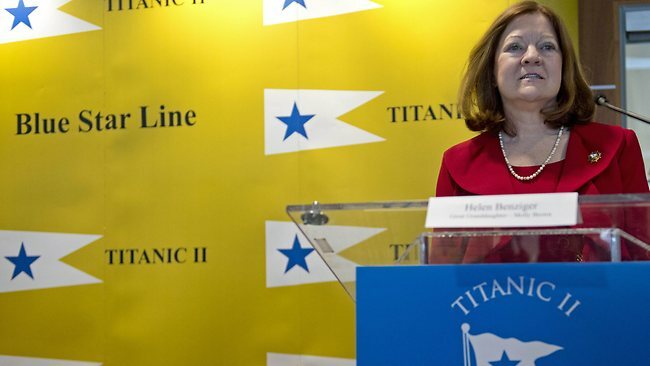 Helen Benziger appeared at the gala press conference in New York City hosted by Blue Star Line owner Clive Palmer to kick off the launch of Titanic II. Helen proves to every audience that she has the same moxie, the same aura and the same pluck as her famous great-grandmother who survived the sinking of the RMS Titanic and in the process made a mark for women to follow. Her indomitable sense of survival and self-reliance helped her guide a lifeboat full of helpless souls to salvation. 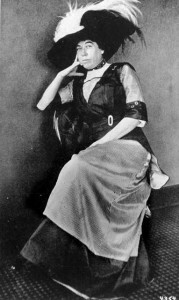 Helen has appeared across America explaining to audiences the background and history of Molly Brown and brings to life a living vision of one of history’s most famous women – who was truly a hero of the Titanic. 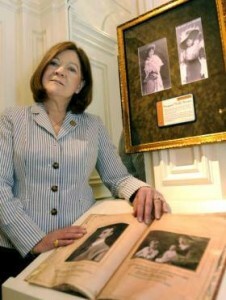 Helen makes personal appearances at venues around the world. 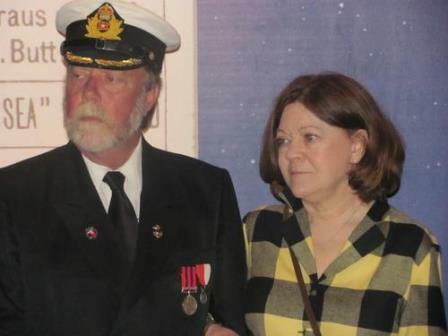 Here she is shown with actor David Parker who played Capt. E. J. Smith at Branson, Missouri. Helen shows family memorabilia at the Titanic Museum in Branson, Missouri. 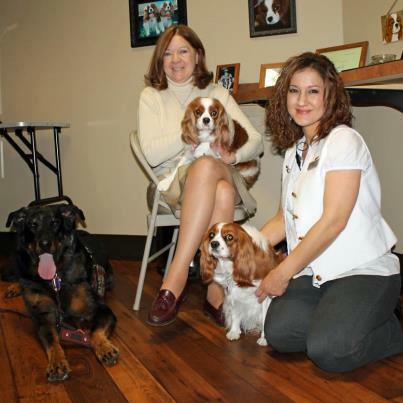 Helen travels with a service dog and is shown here with the Titanic dogs, Molly & Carter at the Titanic Museum, along with their handler.